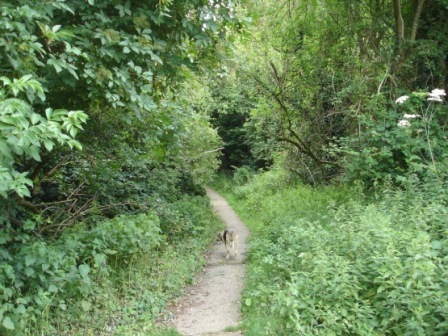 An area of land was given to North Hinksey Parish Council by the Kingerlee family in 1939. 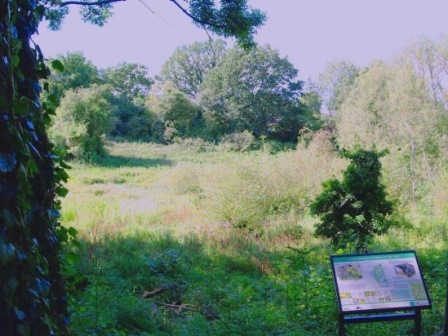 The area consists of three main areas, an upper playing field, a lower playing field, and Hutchcomb’s Copse lying on a downward slope towards the West and North of the lower field. The upper and lower fields are divided from each other by Arnold’s Way. 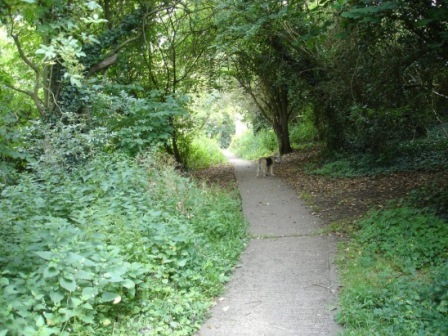 Hutchcomb’s Copse consists of an area of woodland, a wet fenland area and a pond occupying land bounded by housing to the north, Hurst Rise Road to the West, Cedar Road and the Lower Louie Memorial Field to the East and Arnold’s Way to the South. 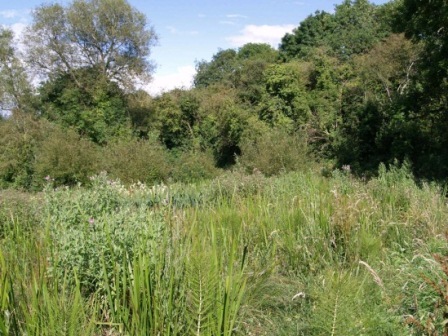 The woodland lies on a northward facing slope surrounding a valley-head fen. 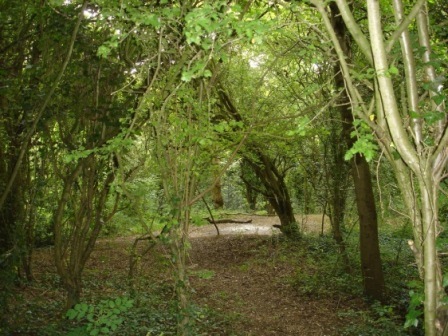 In the drier parts of the wood there is a variety of medium sized species, such as Norway Maple, Sycamore, Ash, Hawthorn and there is Willow in the wetter areas. The fenland lies in a shallow valley sloping down towards the north and west of the area. It is kept wet from numerous springs fed by the water draining from the high ground to the South. At times of heavy rainfall water issues from a culvert under Arnold’s Way and comes down a stream in a northerly direction passing under a little footbridge. (“Bridge” in the map above). 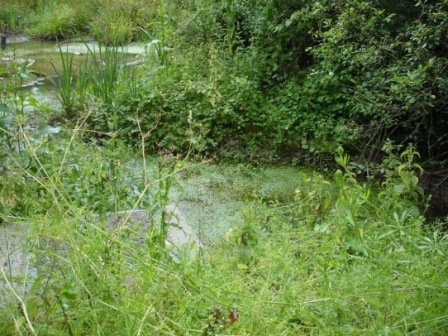 It then runs into a diversion and a lot of the water can be seen seeping into the ground where it joins the subterranean water that keeps the fen wet. 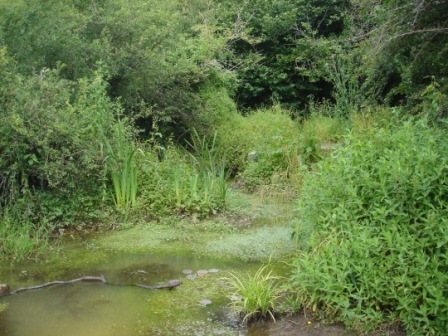 Even in most dry conditions, the water draining down the hill is sufficient to maintain a pond at the north of the site.